Fitness activity trackers are the latest trend in health and wellness. These are wearable devices that can track your daily steps, heart rate, calories, and sleep cycle. Some of these have their own apps so you can sync them wirelessly to your phone and get constant notifications about the state of your health. However, much like gym memberships, it seems fitness trackers can easily turn into novelties. It is great that you have it, but the data are mere numbers to you now. Your fitness tracker can actually be a useful tool that, when maximized, can help you be the fittest person you can be, and here’s how. to you and how you can motivate yourself to continue working out and eating right. you the fruit of your efforts through data. changing your goals by choosing any of the preset steps your trackers have. But before you change the settings, make sure you have tried the default first just to check if it is possible to do 10, 000 steps in a normal day. what time during the day you can get the most steps so you can plan your breaks around it. We have all been doing Kiki challenges and bargain challenges lately, so a fitness challenge might help you create a habit out of exercising. Use your FitBit when you create targets for the week. For instance, if your average number of steps in a week is close to 60, 000, challenge yourself to domore steps next week by going the long route to lunch or walking the last distance going to work. Any device that comes with a calorie count will not be very accurate. It only takes into account your age, height, weight, and gender, not so much what food is actually part of your diet. Instead, just focus on the heart rate and sleep cycle monitor of your FitBit. These can help you get a general idea of your beats per minute and if you are getting enough sleep. Remember that you should reach REM or the deep sleep stage, and monitoring it might help you adjust your sleep habits. Do not just rely on the number of steps to get fit, you should also avoid being sedentary. This might seem hard to do for those of you working in an office, but moving around or standing up for 5 minutes is a big deal already. Sitting down for long periods of time exposes you to diabetes, heart disease, and other serious illnesses. You can set up a reminder on your FitBit so that you know when you need to walk to the pantry to get water or when you need to switch to you standing desk. make sure you are able to maximise all of its features. 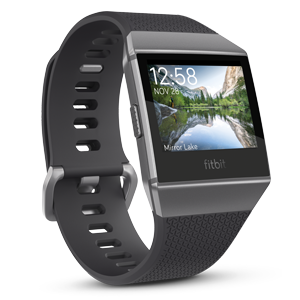 Get your Fitbit charge to now from Harvey Norman and see the difference it makes to your lifestyle!